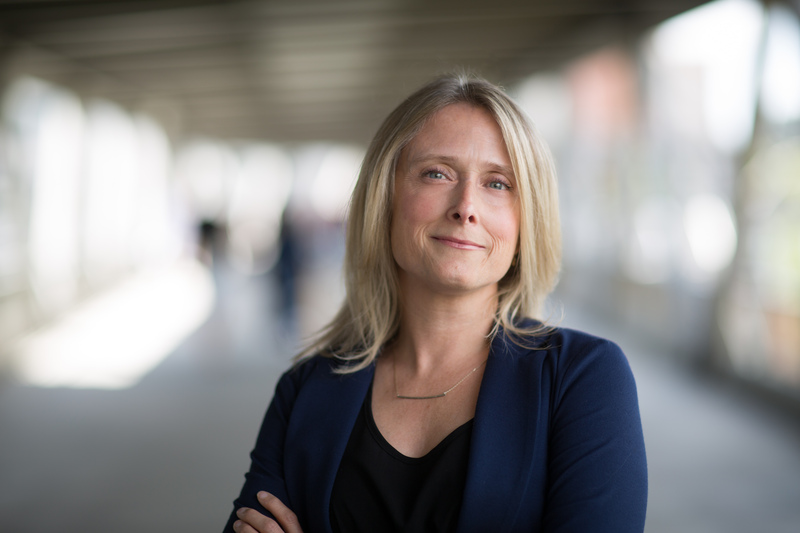 The biological features of patients’ tumors partially explained a racial disparity for women with hormone receptor-positive, HER2-negative breast cancer, but UNC Lineberger researchers led by Katherine Reeder-Hayes, MD, MBA, MSc, said it didn’t explain it completely. The preliminary findings were reported at the 2017 San Antonio Breast Cancer Symposium. 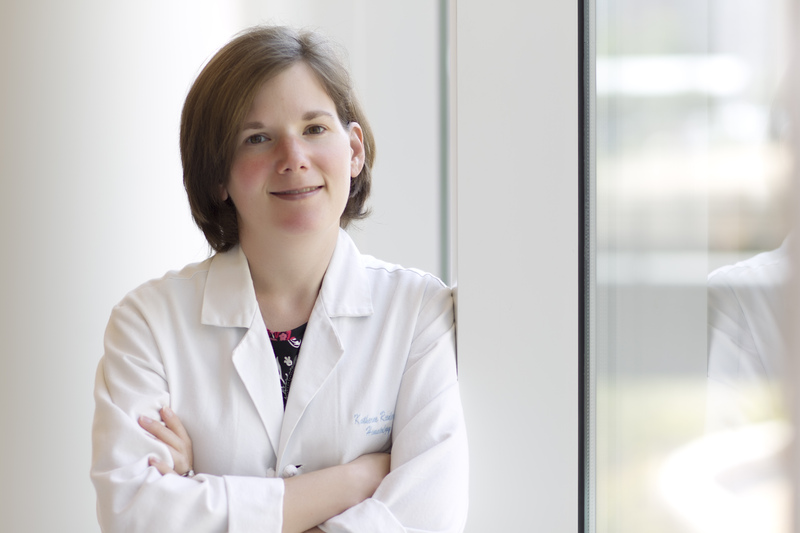 UNC Lineberger’s Katherine Reeder-Hayes, MD, MBA, MSc, is an assistant professor in the UNC School of Medicine. Higher risk of recurrence for black women with hormone receptor-positive, HER2-negative breast cancer compared with white women cannot be completely explained by underlying biological factors, University of North Carolina Lineberger Comprehensive Cancer Center researchers reported at the 2017 San Antonio Breast Cancer Symposium on Thursday, Dec. 7. For women with breast cancer, hormone-receptor positive, HER2-negative breast cancer is considered to be a type of breast cancer with a range of effective treatments, and a lower risk of recurrence compared to other cancer types, said UNC Lineberger’s Katherine Reeder-Hayes, MD, MBA, MSc, who is an assistant professor in the UNC School of Medicine. Yet, historically, racial disparities have been greatest for women with this type of breast cancer than for other types, the researchers said. The biological features of patients’ tumors partially explained this difference, but the researchers said it didn’t explain it completely. In their study, the researchers reported findings of a disparity in breast cancer recurrence between black and white women. While 8.6 percent of 1,371 of white women had a recurrence of hormone receptor positive, HER2-negative breast cancer, 14 percent of 1,403 black women had recurrence. For women with hormone receptor positive, HER2-negative cancer, they found gaps between black and white women’s risk of recurrence even after taking into account the stage of the cancer and whether the women received chemotherapy. The study drew from data from the Carolina Breast Cancer Study Phase III, a prospective study of 2,998 women with breast cancer recruited from 2008 and 2013. The researchers wanted to know if additional biological features not usually measured in the clinic could help explain the disparity. To try to answer this question, Melissa Troester, PhD, UNC Lineberger member and professor of epidemiology in the UNC Gillings School of Global Public Health, led an effort to categorize cancers for both black and white women by molecular subtype. Cancers were classified based on patterns of how genes are expressed within tumors using the PAM50 gene expression assay, of which Charles M. Perou, PhD, UNC Lineberger member, May Goldman Shaw Distinguished Professor of Molecular Oncology, and professor of genetics, and pathology & laboratory medicine, was an inventor. In this previous study, which was published in the Journal of the National Cancer Institute, Troester and her colleagues found that while most women with the hormone-positive, HER2-negative clinical subtype had an intrinsic subtype called luminal A — a “better” prognosis breast cancer — some women had other intrinsic subtypes that are less common in hormone receptor-positive tumors, and that had a higher risk of returning after treatment. Black women had a lower frequency of luminal A breast cancer, and they had significantly higher relative frequency of the other non-luminal A breast cancer subtypes. In their recent study, Reeder-Hayes, Troester and their colleagues found the difference in cancer recurrence between black and white women was diminished after adjusting for clinical variables, and especially after accounting for molecular subtypes. However, the difference by race persisted even after considering these factors; black women still were 44 percent more likely to have recurrence. These results suggest that a combination of tumor biology and differences in access to care are influential for breast cancer outcomes. “Yes, there is biological heterogeneity in hormone positive, HER2-receptor negative disease, and yes, that seems to explain part of the gap in recurrence free-survival, but no, it doesn’t explain all of it, which sends us down several other investigative paths to see what other factors contribute,” Reeder-Hayes said. Reeder-Hayes’ work on this project was supported by a Komen Career Catalyst Award. The Carolina Breast Cancer Study is supported in part by the University Cancer Research Fund, the National Cancer Institute, and by Susan G Komen.